Dark net market Sheep Marketplace has shut down after $5.3m (£3.3m) in bitcoins was stolen from the site. The site shut down over the weekend and visitors today see a notice blaming the theft for the closure. It said the theft was carried out by a vendor on Sheep who exploited a bug in the site's software to steal the virtual cash. 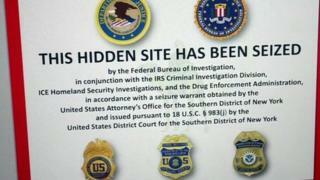 Sheep Marketplace rose to prominence after the FBI shut down the illegal Silk Road marketplace in October. The Sheep Marketplace, like the Silk Road, was accessible via the Tor network and let people buy drugs and other illegal items through its pages. Tor is a system that hides the identity of people visiting sites and it has also given rise to a "dark net" of sites accessible only via an associated Tor browsing program. In the message posted to the site's opening page, the Sheep Marketplace's operator said it had shut down following the theft on 21 November of 5,400 bitcoins - £3.3m at current exchange rates. "Your money, our provisions, all was stolen," reads the message. The site's operator had been trying to "resolve" the situation since the theft took place but had failed and had decided to shut down the site as a result. He added that any remaining bitcoins would be distributed to members who had provided an emergency address to which they could be sent. Many former dealers and customers who used the Sheep Marketplace took to social news site Reddit to complain about the shutdown. Many wondered why the site was left to run for a week after the theft was spotted. None of those posting reported that their bitcoins had been sent to their emergency address. The closure of Sheep has had repercussions elsewhere on the "dark net". A site called Black Market Reloaded stopped letting new users register on 1 December saying it could not handle the influx of users caused by the closure of Sheep. Writing on Forbes, tech reporter Andy Greenberg said the closure of Sheep was only the latest event in a "widening crisis" that was hitting drug sellers operating via the dark net. He cited the example of two other sites, Atlantis and Project Black Flag that had shut down following the FBI seizure of the Silk Road. Bitcoin: Has its Time Come?